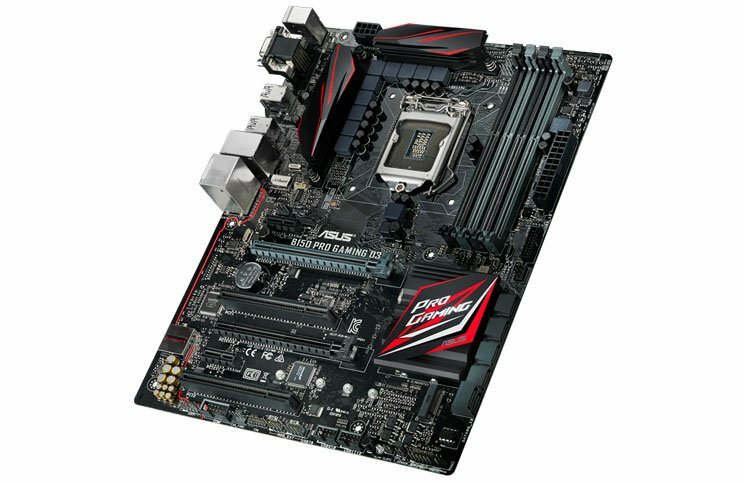 ASUS is a well-known brand for computer products like motherboards. They have brought the H170 Pro Gaming and B150 Pro Gaming D3 motherboards to India. The two new ATX motherboards come with multiple features for superior gaming experiences. It includes the SupremeFX and Sonic Radar II technologies for great audio performance. For fast, safe and lag-free networking, there is Intel Gigabit Ethernet with ASUS LANGuard and GameFirsttechnology in them. The Pro Gaming motherboards are designed for today’s modern value-conscious consumers, who demand affordability and the best technology. It is based respectively on the new Intel H170 Express and B150 Express chipsets. The H170 Pro Gaming and B150 Pro Gaming D3 also benefit from Gamer’s Guardian components for durability and easy DIY, and the latest connectivity with both 10Gbit/s SuperSpeed USB 3.1 and M.2 on board. Both have durable capacitors engineered to resist extreme temperature variations of between -55°C and 105°C-110%. There is a corrosion-resistant stainless-steel input/output (I/O) panel that lasts three times longer than ordinary panels. The smart DIY features include the one-clip Q-Slot graphics card installation and Q-DIMM memory slots with one-sided clips for super-simple, super-secure handling of memory modules. Q-Shield prevents nicks and cuts during building, while four Q-LED lamps indicate problems with the CPU, memory, graphics card or boot device for quick diagnosis. ASUS ESD Guards actively protect against sudden electrostatic discharge (ESD), ensuring USB ports, audio and LAN port protection that’s up to twice as resilient as industry standards. The boards are equipped with both Gen 2 Type-A and reversible Type-C sockets. The M.2 socket also provides great storage-upgrade flexibility, with support for all M.2 devices between 42mm (2242) and full-length 110mm (22110). Both boards also come with uniquely-intelligent RAMCache technology. This will help to cache an entire storage device so that favorite games and apps launch at breakneck speeds. The RAMCache minimizes risk of data loss and turns milliseconds into microseconds. The company has priced the ASUS H170 Pro Gaming at Rs 11,455 and B150 Pro Gaming D3 at Rs 9,600. Both comes with a 3-year warranty. Ajay Singh might still be studying English (Hons) from DU, but his skills over the language are pretty much top notch. He wants to quickly learn the ropes of journalism. Tech and gadgets fascinate him. His passion for the same drives him to research about new things tech. He tries to stay on top of gadget news. If there is a new tech toy launched, we are most likely to go up to him for its news. He likes to read and is crazy about travelling. He is also a cricketing ace and cannot resist a good Dosa.